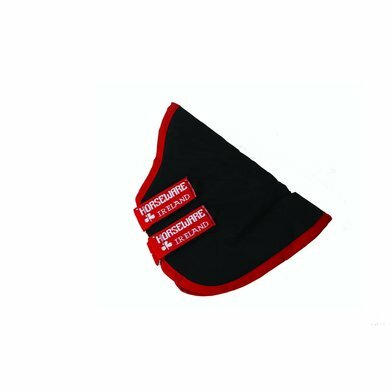 Rambo Supreme Neck Piece 250gr is the matching unlined neck piece for the Rambo Supreme Turnout blankets. The neck piece is very easy and quick to attach to the blanket. The outer fabric is made of very strong 1000D ballistic nylon, this material is also used for bulletproof vests. 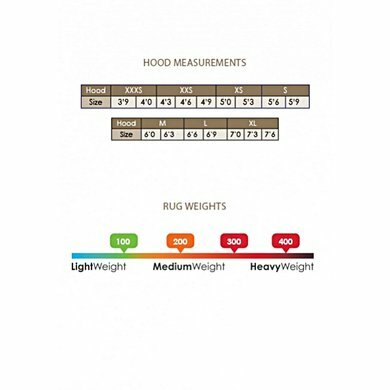 This fabric is much more durable than other types of blankets and necklaces made of nylon. The neck piece is 100% waterproof. The inside of the blanket has a permanent polyester antibacterial layer. Thanks to this layer, the growth of bacteria will reduce the risk of infections and allergies.